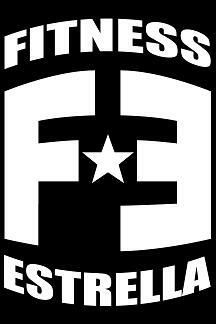 This is the fourth CF Open WOD 12.4 (posted on 3/15) this year to qualify for the Games. Read the Instructions for the rules. I feel like I would only get ONE round! That doesn't seem like an AMRAP workout at all. Crazy! Well, if I do this one tomorrow, should I sub ring dips for muscle ups or...? I did this with a 20# One Armed Thruster (Left) Substitute. Double Unders were fatiguingly hard. My shoulder felt fine while doing double unders. I am glad to start doing WOD's again and steadily getting back in shape. Sorry Jared, with those ribs healing I will be overtaking you now! The double unders were so hard after wallballs! I am happy with my reps. I did 50 pullups following the WOD in 5:09. DU's were nearly impossible after the WB's had to do them mixed with singles... This was crazy and everyone really stepped it up. Nice job! @ Morgan. 1 Round would be great! Give it a shot. AMRAP can mean Rounds or REPS. The sub for Muscle Ups is 3 Pullups and 3 Ring Dips per 1 Muscle Up. The whole idea of posting the games WOD's is to try and do them RX'd and compare yourself to the rest of the world. Obviously if you have 5 minutes left and you can't do MU's then do the pullups/ring dips to finish. But note your RX'd score. Keep track of all your scores and add them up and see what place you come in at the end of the open. Have fun! I started with a 10# ball but after 25 went to 8 lb ball.. In hindsight should have stayed with 10. Did 180 singles as i didnt see the conversion for doubles till to late. Did 23 dips on machine with weighted assist of 26 lbs.. Not exactly apple to apple but still a good workout for me..
Jenette - 150 wb 12#, 270 singles. I felt good, and focused on full rom with the crease of the hip passing below the knee. Hunter - 150 wb 16#, 100 singles. @12:00 I completed 4 sets of 3 Ring Dips and 3 Pullups. I wish I would have clocked my Double Unders but I didn't expect to finish them so I just jumped right into the Pullups/Ring Dips when I knew my time wasn't up. I really liked this workout. Of course I'd really love to get a true Muscle up One day but it would be cool to see more progress on this workout in the future. 08/26/12 Deneshia 25:16 forgot my watch so just timed the whole thing. 150 WB (12#@9')@ 13:50ish -terrible! These completely wear me out. DU really tripped up a lot at first. Muscle up, jump to assist on lower bar sets of 10.